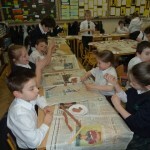 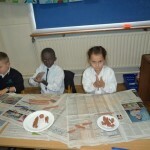 Room 2 had lots of fun in art class working with clay. 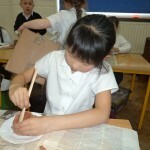 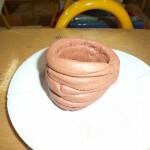 They enjoyed working together and making their pots. 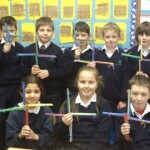 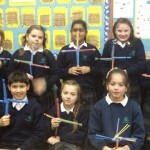 We made St. Bridged’s Crosses today. 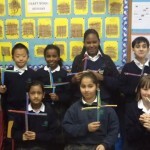 February 1st is the feast of St. Brigid. 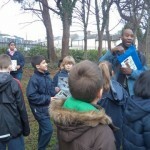 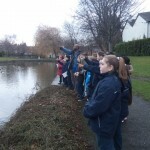 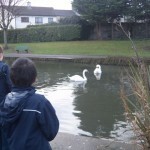 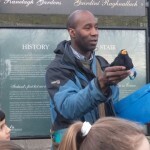 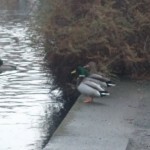 We went to Ranelagh Gardens with ‘Mouse’ in early January to do some bird watching. 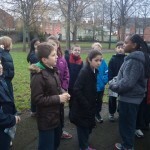 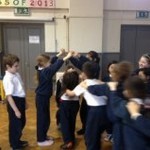 Room 6 had lots of fun playing games from the past in P. E. We hope to now play them in the yard at lunch time. 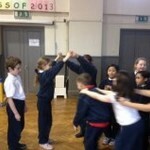 Can you recognise any of the games from the photographs? 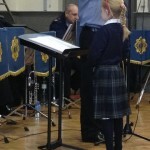 We played “Red Lights” “ Colours” and “Giant Steps”. 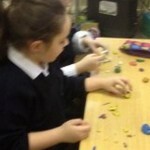 The boys and girls in room 6 had lots of fun making their little beings. 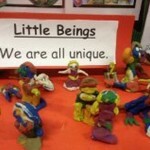 They know that everyone is special and unique. 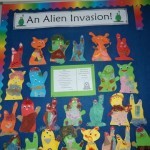 The children in room 6 created fantastic fabric and fibre owls and they also created colourful aliens! 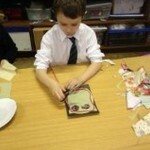 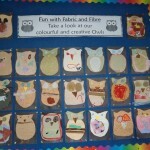 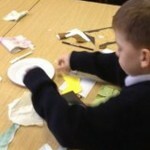 “ I had fun making our fabric and fibre owls and aliens”. 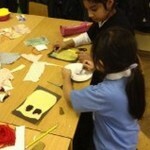 “ I had fun designing my own alien and owl”. 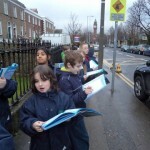 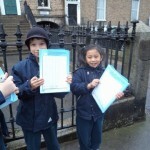 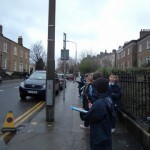 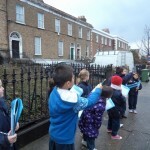 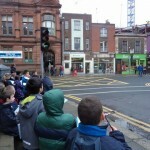 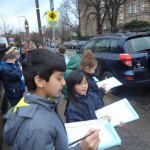 The children in room 6 conducted a transport survey in Rathmines. 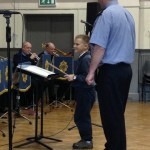 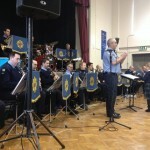 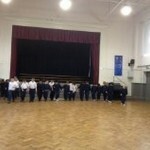 All of the pupils and teachers were lucky enough to hear the wonderful music of the Garda Band last week. 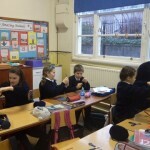 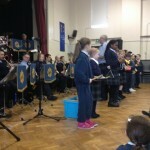 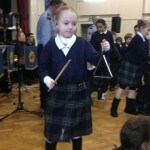 Some of the pupils in the school even got to conduct the band or play instruments with them. 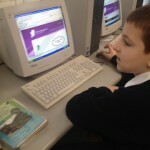 Room 7 are taking part in Dissolving Boundaries where they are working collaboratively with children in Northern Ireland to create Wiki’s. 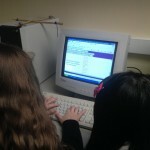 These Wiki’s will be based on the theme of Myths and Legends. 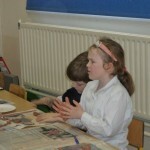 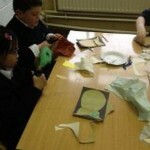 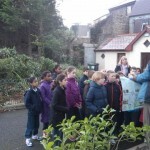 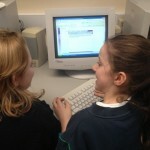 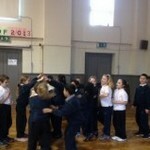 Room 7 will work with children in a school in Co. Down to create their own Myths. 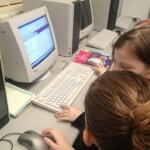 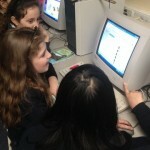 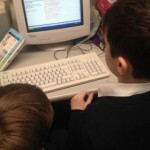 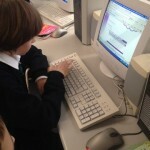 They are working on collaboratively planning their myths at present. 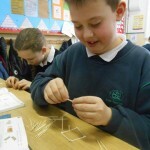 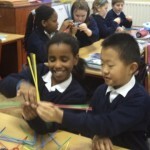 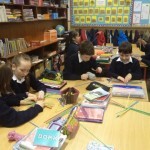 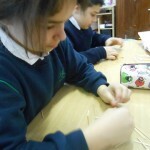 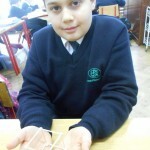 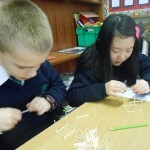 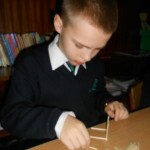 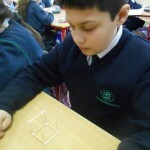 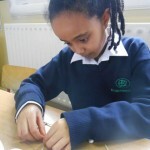 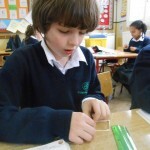 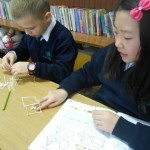 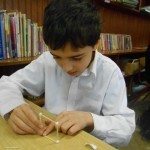 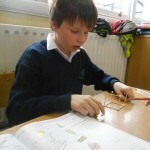 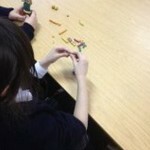 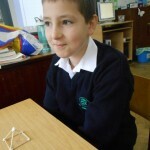 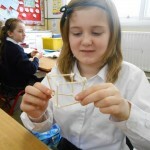 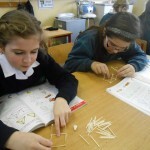 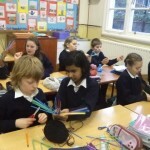 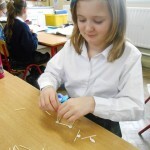 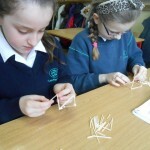 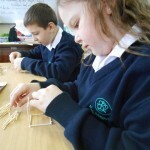 The children in Room 7 were getting actively involved in their maths by creating 3-D shapes using matchsticks. 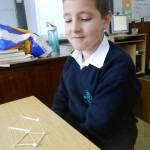 This was a tricky task as the matchsticks were very small but we made some cubes, cuboids, triangular prisms and different types of pyramids.